It's no Whole Foods opening but the Navy Yard has some new residents. @202, you asked in the last thread about a new date for the Happy Hour, and I haven't come up with one yet. Gunning for June, though. I must have missed it - does anyone know what's going in at F1rst between Solidcore and Declaration? They're definitely framing out that stall. The Whole Foods sign is at least up! There's a little action inside the store but not much. So after Barre3, that seems to leave just 1 bay in that building empty. Based on the trend, it's either going to be delicious food or exercise-based business. In case you see it elsewhere like it's new, the news of Bluestone Lane coming to 99 M was first reported in April: link An official press release went out today, though. The CSX land behind ORE 82 is under contract to Greystar (national apartment developer). 1M SF of development capacity, according to the listing - 1,000+ units. 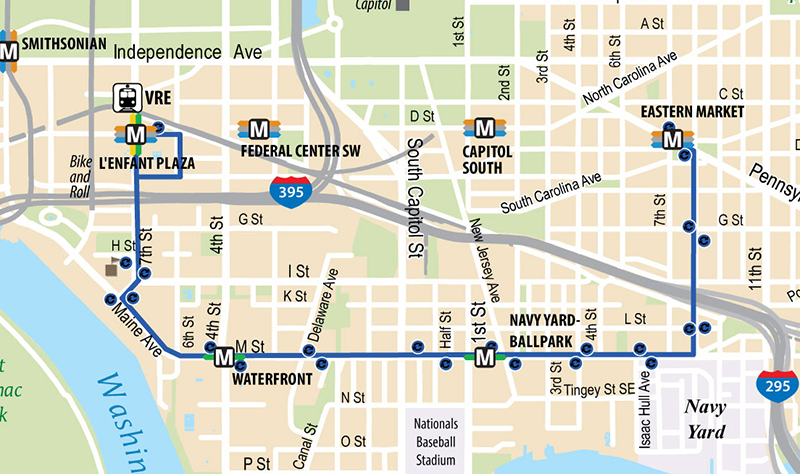 JD-- regarding the link that you Tweeted about, more housing is always welcome but I can't imagine living right next to the railroad tracks and I-395. I thought these buildings would be office and/or hotels. Also, that photo in the WBJ article explains what the helicopters are doing flying so low over our apartment. Good to know I am not paranoid! Wow lots of updates. I need to keep checking in here more often. I can also report that continued Street and curb improvements are happening on half Street. Fingers crossed they finally do something with the sidewalks. I will also be so happy when 99 M Street is done because that has made such a mess of that area which has a huge amount of foot traffic now that the weather is nice.